So, here’s the story of Jim, a man who needs a few bucks from his parents in order to buy a house. Let’s give you some background. Because he is paid mostly in tips, his banking practices are not really typical of someone who makes a steady paycheck. He makes random withdrawals & deposits of cash into his accounts. Let’s talk figures now...He makes $3,900 per month, or $46,800 annually. His monthly credit card, car payments, and student loans equate to a $600 monthly expense. As it stands his debt to income ratio is about 15.3%. By the end of 2008, the banking industry found itself in a rather precarious position. Only the strong, larger entities stood the chance of survival while even some of those large players tumbled. We find ourselves in 2014, almost seven years after what most industry professionals coined as the “apocalypse.” Although some industry regulation took place between 2008 and present, most of the Dodd-Frank Act changes in mortgage servicing were implemented this past January. Now that Dodd-Frank is thoroughly implemented, most board members of the larger banks are now focused on seeking closure to the never-ending legal disputes. The U.S. government and individual states have settled a recent lawsuit with JP Morgan Chase for a cool $13 Billion. While Bank of America is on deck for roughly $23 Billion by the end of this month. Perhaps the settlements are appropriate as so many people were mistreated, disrespected, and misrepresented as in the robo-signing controversy. But, when is it going to be behind us? After all, the success of banks and the entire financial industry truly helps our economy, from individual market investors to Real Estate as a whole. So are we ready to move-on? 60 - Sixty-day notice before interest rate adjustments are scheduled for your loan. This is beneficial for those who require notification so that the consumer could plan accordingly. Usually 30 days is enough to refinance, if a consumer wishes to sell his/her home, sixty days may not be enough time to avoid at least a few months of fully-indexed rates. 45 - Forty-five days notice before charging the mortgage customer for force-placed insurance. A home owner’s insurance policy may expire unexpectedly. Especially, if the bank is paying the insurance and taxes out of the monthly payment (escrow account). The bank must notify you within 30 days that the policy has expired and will provide the homeowner with 15 additional days to acquire proper coverage instead of charging the homeowner for the optional, more expensive coverage. 36 - Thirty-six days after a consumer’s late mortgage payment, the bank will reach out to the homeowner. Within 45 days, the homeowner will be assigned personnel to assist in determining options to bring their payments current. If there had been a method in place to help as many people as possible, it is the Bureau's belief that there would have been substantially less foreclosures. Bank personnel are actually in a position to help and work out payments that are fair to everyone whether a borrower had been laid off or if there has been a death in the family. The Dodd-Frank Act has changed the industry forever. Most of the changes were absolutely warranted since the previous structure was simply very poor in determining the responsibilities of all parties. Considering the onslaught of changes across the industry, the costs incurred by banks to redesign infrastructure, in addition to the possible $60B in total settlement costs, is it time? Can we move-on? For all of those mortgage brokers and mortgage loan originators who are constantly running scared of the ever "nerve-wracking event," allow me to set your mind at ease. By the grace of some great universal energy, I was given the courtesy of a 30-day notification before the Department of Financial Institutions came to my office. Luckily I was able to take the full thirty days to chew off all of my fingernails, waste most of my time reviewing old files, and spending an exorbitant amount of money on accounting services. It is most likely a common reaction to being told that your business is going to be examined from head to toe. The good news is that only the last twenty four months of business is reviewed and the best part...that they only charge $65 per hour as they sift through your entire collection of business documents. Simply stated, if you have something to hide, they’ll find it. If your activity has been suspicious, then you may have to spend a lot for their incredibly thorough services. This particular examiner mentioned having spent thirty days in one location. The math for that examination was well-clear of $15,000. OUCH! One of the first questions that came to mind was whether or not this examination was being performed based on a complaint. I was told that complaints are easily located at NMLS, so I was put at ease that this was not the issue and that complaints are placed on the national online consumer site before anywhere else. The reason for my examination was because the company was due for a review in May of 2009. Since then, the department has been downsized due to lack of resources and most importantly they were dealing with issues of much greater importance than keeping up with yearly examinations. So, they are getting to all of us, eventually. And, we are better for it. Let me explain. I would imagine that I am like most licensed individuals. I go about my business in an honest, forthcoming fashion. I disclose everything! If necessary, I’d disclose my shoe size if it means being compliant. Kidding aside, I just do my best to keep my clients up to date and provide them with service that is second to none. That’s the way we need to operate. Otherwise, we should find a new profession. My examiner was personable, knowledgeable, and witty! Yes, some of the examiners do have a sense of humor, as they are "up-in-your-grill" for a few hours. I felt free to ask questions, including those dealing with future planning and the direction that the company will take. Each question was fully answered, with strategies, and methods of organization that would be most beneficial for the overall plan. Even with my inquiries, I was lucky enough to have been examined for nine "billable" hours, but there was actually a real, tangible benefit to me. I really appreciated the information and guidance. Got plans to hire more personnel? Well, my examiner mentioned that this is the area where most firms make mistakes. It’s worth a few phone calls and emails to make sure that it is handled correctly. I now have a contact at the department to ensure that I get it right from the start. One of my initial concerns was that I did not have the information in the format that they required. I use Quickbooks, EllieMae Encompass, online bank access, and most importantly, I keep everything that I collect, receive, and produce. From letters of explanation on loan files, to deposit receipts, copies of cancelled checks, invoices, and conversation logs. Utilizing all of these sources of information I can easily print out loan logs, deposit history, account lists, and anything else that was requested of me. If you are using the latest technology then you should be able to print reports as needed. In a nutshell, the examination ended up being a very positive experience. While I was still a bit nervous at the start of the process, the examiner helped me feel comfortable and walked me through the exam. I feel as though I received a pat on the back by the powers that be, to continue doing what I am doing. This vote of encouragement has filled me with a great feeling that I have what it takes to achieve greater success in a profession that I really enjoy. I am looking forward to many more successful years ahead...and to my next examination in thirty-six months! Good luck to my fellow colleagues! The process of homeownership is rather simple to explain. However, there is no argument that if you aren’t well informed, you can lose lots of money! According to Brian O’Connell, rates are climbing quickly and many current home owners have taken advantage, but timing is crucial. Homeowners who refinanced achieved a median interest rate reduction in the fourth quarter of 2012 of 33%, according to Marketwire. Refinanciers have clearly taken advantage of the low rates, but if homebuyers delay they may not be able to afford higher loan amounts, as it will cost more to borrow. What does that mean? Basically, as rates increase the buyer is settling for a smaller home, lesser amenities, and/or inferior finishes. Higher rates are directly correlated to higher debt-to-income ratios which can cause problems with underwriting approvals. Debt-to-income ratios are heavily weighed in determining an applicants eligibility for any type of home loan, whether a government or a conventional loan. Your debt to income ratio is calculated as a percentage of your debt in relation to your income. 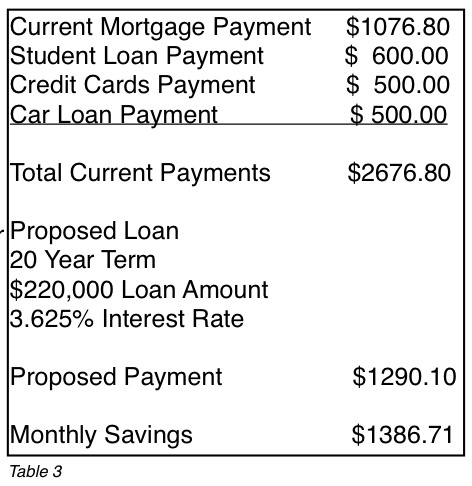 For example, if you earn $3000 per month and your expenses are $1000 per month, you would have a debt-ratio of 33%. Your maximum allowable ratio is specific to the loan scenario and is also based on other strengths/weaknesses of the file. & lastly, proposed mortgage payments to include, principal, interest, taxes, insurance, mortgage insurance, HOA fees, plus any district taxes, if applicable. Divide this monthly total by your gross monthly income (before taxes). As an exercise, tally up your monthly expenses (as indicated above) and calculate your debt ratios to get an idea of a manageable monthly payment for your new home. Include only the kinds of debt that are reporting to the credit bureaus, not expenses such as groceries, utilities, etc. Your calculator will give you an answer as a percentage (i.e., .33 or 33%). Contact your trusted mortgage broker to help you determine the finer numbers, or for the time being, you can explore by using a mortgage calculator. The calculator can provide fairly close estimates, at least enough to get you started. Most importantly, get educated on the mortgage process by local non-profit groups & take advantage of the lowest interest rates the market has ever provided. Keep in mind, as rates increase a home buyer will be able to afford lesser space and amenities. There is only one way for rates to go...before they increase, get the home that is best for you and your family. Bigger is better especially when it is affordable! Many markets are reporting bidding wars & increased sales prices, with typically cash investors making winning bids. Some markets, like most of New England, are moving along slowly and attracting more owner occupants than investor-purchased properties. The inventory of homes in areas of high-investor demand are causing prices to spike upwards. For those who are in slower markets, be prepared to pay an even higher price. Ken Harney of the Washington Post states, "Analysts say negative equity plays a major role: It discourages people who might want to sell from doing so. They don’t want to take a big loss, especially in a slowly improving price environment. So they sit tight rather than list. Banks with large stocks of pre-foreclosure and foreclosed properties are doing the same, creating a so-called shadow inventory of houses estimated to total 1.5 million units." The negative equity is obviously a major problem. Even with the incredible increase in real estate values in the sand states, the US is still 23.5% below the 2006 peak as reported by HousingWire.com. With 1.5M properties on stand-by, can values decrease if these banks unleash the supply too quickly? We would like to believe that it will be released slowly to prevent an over supply. The real question is how can consumers protect themselves? Here are the top 5 considerations if you intend on buying real estate in the next 6 months. Whether as a first time home buyer or a seasoned investor, start with preparation, then move to market research. 1. Get your free credit report. Use the once-yearly, free government-backed service. Call your creditors to fix any inaccurate reporting. 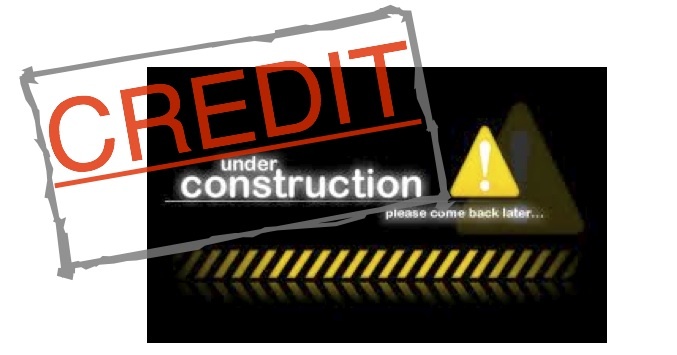 If you wish to boost your credit scores, then opt-out! 2. Get a free real estate & finance education. There are lots of non-profit agencies, state agencies, and for-profit professionals conducting home buying seminars. Go! Get educated, as the market is not the same as when you last bought a home. Underwriters are more thorough, paperwork is more intensive, and the rules of the game have changed. 3. Visit your trusted mortgage broker to discuss finance options. Mortgage planning is critical and is overlooked by many first time home buyers. A visit to your broker will ensure that your bank records are in order, credit issues are fixed, and you'll be presented with estimates. All of this is generally FREE! Beginning this relationship early takes a lot of stress out of the process. Talk to them about your plans and goals. Keep in mind that if you are in the market for a home, you will be advised to hold on to your cash. Keep driving your clunker and stay away from increasing credit card debt. And, don't allow anyone to review your credit. 4. Get a referral for a Real Estate agent from your mortgage broker, non-profit agency (Real Estate education), friends, co-workers, etc. Beginning this endeavor with a team is much better than trying to bring new working relationships together. As a team, trust is easier to attain and there is more focus on you, the consumer. Meet your Real Estate agent and let them know your loan approval details. Discuss your timeline and your ideal-home characteristics. 5. Ask the agent to send you listings that match those parameters. Gauge the marketplace for a short time before entering any offers. Putting in offers too soon may land you an expensive home. After several tours of homes, you’ll know what you should spend before long. In most communities across the US, renting is more expensive than buying. It has become a simple decision to buy, especially since interest rates are low and home prices have finally leveled-off. Forbes reported that the bottom of the housing market leveled off this year. Additionally, The National Association of Realtors reported that in the first quarter of 2012, the median existing single-family home price rose in 74 of the 146 metro areas that the association tracks. There are plenty of online resources for consumers to begin measuring the marketplace. Sites like Zillow.com, Realtor.com and Homes.com have helped beginners gauge the marketplace before calling-in professionals. Keep in mind that a Realtor can help hone your home searches with better, more up-to-date information. Home buying takes preparation and patience. By following the five steps and developing your team, you will be well on your way to your first/next home purchase. The latest market trends have made it increasingly difficult to obtain speedy conditional approvals. Due to declining interest rates, low home prices, and an increasing demand for homes, the underwriting process is taking slightly longer than usual. Contributing to the underwriting turn-times, are the aggressive loan products of the Home Affordable Refinance Program and FHA’s Streamline Refinance Program. Conditional approvals used to take a couple of days to obtain, at most. At this point it is taking the better part of two weeks to get a decision. Surprisingly, it is not taking longer than the standard 30 days to close the entire transaction, but it adds some complexity on the real estate side when the submission takes so long. Are you upholding your fiduciary duty? Real Estate agents are placed under some scrutiny when it comes to protecting earnest money. What about other expenses? There are inspection fees, termite inspection fees, and other specific inspections to sort-out like mold, radon, etc., if the need arises. Some buyers are more than one thousand dollars into due diligence fees, before finding out if the underwriter found a deal-killer that an automated system could not detect. 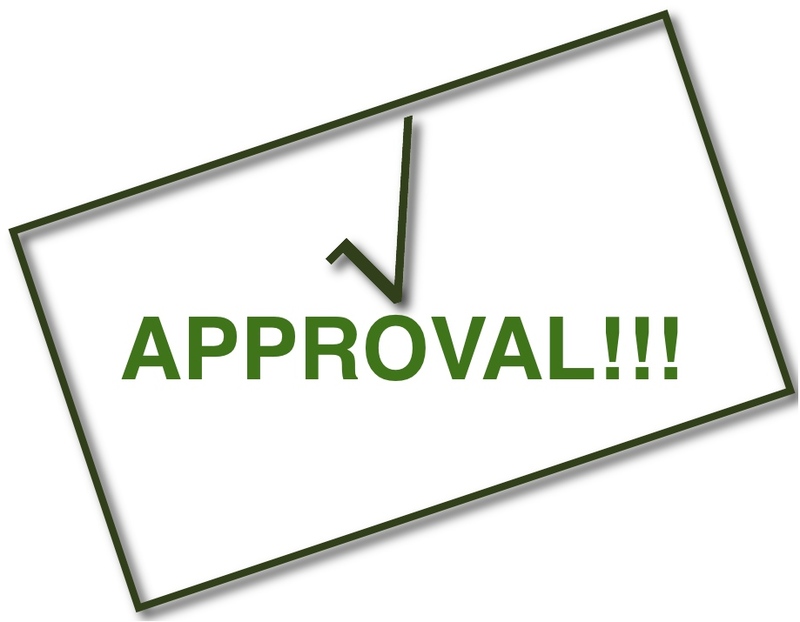 When a loan pre-approval is written from a lender, it is typically an application that is uploaded to the Fannie Mae underwriting system, this provides an automated approval. Most systems allow the user to toggle or modify some of the variables of the application to obtain an approval. Upon submission to an underwriter those ‘switched variables’ are accounted-for using supporting documentation, whether to prove increased assets or paid charge-offs. It is a fairly simple process if the loan applicant diligently collected the required information. But, the system has some minor drawbacks. The system is unable to determine whether the type of income is acceptable. Self-employed applicants, commission-paid applicants, & new landlord applicants make it a challenge to determine the exact calculation that an underwriter will use to determine income. Some institutions publish this information, but most decide at underwriting as the file may be measured by compensating factors. Several other variables exist, including "time on the job," and the results of verified deposits, rent, & employment information. The list goes on and on. These can prove to be great compensating factors or represent that the file is risky. The short of it is, as a Realtor or consumer, ask the questions about the process! Although, in good faith the inspections should be performed as you await the initial underwriting approval, it may be in the buyer’s best interest to wait until the initial underwrite is complete. At this phase of the process, the underwriter indicates all of the parts of the file that need additional support. If the listed conditions cannot be met, this is where your client would have saved the money of forgoing the inspections. Perhaps Realtors should ask for extended inspection times and wait until that initial approval arrives before ordering all of the services. It’s just a thought, but as an agent, are you providing the best fiduciary duty by ordering the services in advance. As a consumer, is $1000 better in your pocket than spent on a wasted effort? The most recent underwriting changes in the mortgage industry have allowed housing to show some improvement. Albeit, the bargain prices and low interest rates are also an added benefit, but we are experiencing a loosening of loan guidelines much similar to years past. From loan guidelines, to mortgage insurance guidelines, all the way to the new government programs, we are seeing more people enter the mortgage arena with greater success. Let’s start with HARP II, which is helping to stabilize the market as it prevents further foreclosures. This presidential creation of a loan program is allowing homeowner’s to refinance if the mortgage that they are carrying is held by Fannie Mae or Freddie Mac. Consumers can check to see if this is the case by visiting the websites to determine if there is a match. If so, consumers can call their trusted mortgage broker to verify additional information to handle the refinance. Many banks are boasting great rates and fees, but brokers have generally provided the best service coupled with rates & fees. Due to the advent of the program, there have been a large volume of loans submitted causing slight delays in the underwriting process. With a little patience and the submission of a complete package the process should still be relatively painless. Real Estate professionals who have sold homes to their clients prior to April 2009 are currently calling on these past relationships to offer their clients this option to refinance with local brokers. This Realtor referral strategy has led to the refinance of thousands of homeowners, and we thankful to those agents for helping to strengthen the industry. Additionally, FHA borrowers who closed on homes or refinances in mid-2009 or earlier may be eligible for special refinancing mortgage insurance premiums. Many FHA borrowers who tried to refinance over the past few years have been watching the great rates pass them by. This was largely due to the fact that the updated premiums were preventing them from obtaining the minimum, five-percent monthly savings. Not everyone gets to take advantage of the lesser premiums, but it is helping many families reduce their monthly outlay. What could be next? As we all know, conventional lenders work with third party mortgage insurance companies to protect themselves on loan amounts that exceed 80% of the value of the home. It had been a long time since the mortgage insurance companies required at least 700 FICO scores in order to obtain a mortgage above the 80% threshold. In May of 2012, several insurers have moved their standards way-down to requiring 620 FICO scores. Although the premiums are slightly more expensive, they have opened up the opportunity for homeownership to millions. CoreLogic, reports a nationwide increase of 1.1% over last year April. States with the highest appreciation included Arizona with prices up 8.8%, followed by District of Columbia at 6.4% and Florida at 5.5%. Although some states are still pickup up the pieces, the overall Real Estate market is improving. Rates, programs, insurance, and low home prices are combining to create a stable marketplace, but more importantly, one where loan applicants are achieving more success seeking finance on Real Estate. One of the first, most important risk factors in approving a home loan is credit scores. With the latest loan guideline changes, brokers and bankers are typically submitting loans with credit scores at or above 640 for FHA and 660 for conventional loans. With a prerequisite of high FICO scores, it makes sense to learn methods of improving your score. Those with higher scores will save more money and have more favorable finance options to choose when buying large ticket items, a new home, or even getting an insurance policy. High scores are not only a requirement of the bank funding the home loan. In the case where your conventional loans are above 80% of the value of the property, borrowers will need to prove at least 700 credit scores in order to obtain Mortgage Insurance. If your score is under 700 and you have a small down payment, you will most likely obtain an FHA loan. The only downfall to FHA loan programs is that they are slightly more expensive due to the Up-Front Mortgage Insurance premium (one percent of loan amount due to HUD). Regardless, they are incredibly beneficial to new home buyers & those with less than perfect credit (although, you still need to be a high-scoring 640). The rates are comparable to conventional finance, so while the programs are more forgiving, they are still priced competitively. What if one of your three scores is above the 640? The risk assessment is based on the middle of three scores, or the lowest of two, as provided by the credit bureaus. If only one score appears, you will not be approved and need to make some other credit moves and make some calls to ensure that all of the credit bureaus are getting data from your creditors. The three credit bureaus each calculate a score based on the levels of credit, history of payments, history of long standing accounts, etc. Their proprietary method of scoring is just that, private! But as long as you pay your bills on time and in-full, you should score well. But how can you get an edge on scoring so that you can save thousands of dollars in lower interest rates on car loans, home loans, & insurance costs? In my experience, “opting out” is usually a good way to start to improve your credit scores. This effectively stops the junk mail from credit card companies and insurance companies selling you on their products. Although there is no guarantee of improved scores from opting out, I have seen 10-15 point increases, within 30-60 days. It is significant enough to be worth thousands of dollars over the life of a loan. Still seeking to gain an edge on better credit scoring? Generally, the credit bureaus look favorably upon those consumers using 30% or less than their lines of credit allow. For example, if a credit company allows you to borrow $10,000.00 as the maximum balance and you are carrying $3000.00 or less as a revolving balance, it bodes well for your score. What if it’s less? Well, the more credit that you have available, the better! So, don’t close accounts. Keep them open, just manage the paperwork and be well-organized. Ideally, you will need to have 3-5 lines of credit each with 12 months of history. 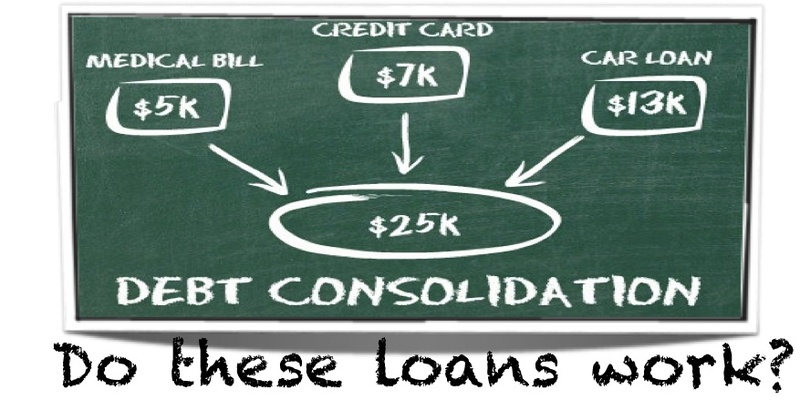 A line of credit can be a car loan, maybe a credit card, or a student loan. If you want to increase individual lines of credit, just call your creditor and ask for an increase. It may help you decrease your balance to that 30% mark, in case you spent more than the recommended amount. Otherwise, pay them down and show that you are responsible in meeting your obligations. In the past I have seen 50-60 point swings in credit using these simple procedures. Sometimes it will cost some money to pay down lines of credit, for others, time will be the challenge. There really is no easier way to save money on large ticket items than to ensure that you know how your credit works, be well organized, and educate yourself on the latest tips and tricks. Need a great starting point before venturing into the home buying arena? Obtain your annual credit report to view the content of your credit history, for free! This source does not give you a free score, but it will give you the ability to view and, if necessary, contact your past creditors. For more information, visit the Federal Trade Commission’s website to learn more. Then, speak to your trusted mortgage broker to find out how you can save money on your mortgage or get approved for a low interest rate on a new home. Over the last few months, I have run into several clients in the Northeastern US who have discovered a need to manage the aging and changing mobility of their parents. This is not a coincidence anymore, but a real, actual need that many people are experiencing. It has become incredibly important to manage our immediate family and finances together, while ensuring the safety of our parents. It makes it especially difficult since the markets have plummeted and our collective portfolios are worth half of what they used to be. What advantages can be sought by this event, and how many arrows can one carry in his/her quiver to ensure that the options are the best for everyone involved? Let's take aim at being able to spend less, keep family close, and improve your overall position when it comes to your investments. The in-law suite or "casita," as they call it in the Southwestern US, has become a popular request on home searches. Being able to finance a detached structure in a new home purchase can be a challenge depending on its maintenance level, but typically it is easily included in a mortgage without any additional costs or rate increases. Are you interested in moving to accommodate everyone? Call your trusted Realtor and put together a search for a home with an in-law suite. Be prepared to look at a lot of different options and consider things like stairs, and private kitchens & baths. There is something to be said for making a fresh start so if a move is something your family could use, go for it! But, what if you are perfectly happy with your current location? Additionally, how do you position your parents in your home that may not have the required additional features? The cash required to build an addition or a detached structure could break the bank if you get carried away with upgrades and amenities. Some additional challenges include ease of access to plumbing and electricity lines,town/city permitting, easements and set backs which all come into play when planning the addition. It would be best to speak to a general contractor before venturing into it on your own. More importantly, where is the money going to come from? Here are a few choices. With rates being so inexpensive, you could refinance your own home and cash-out for "home improvements,” to include remodeling and adding the in-law suite. Putting the money back into your home is not a bad idea in this market. You may see a great return as demand for homes with this in-law feature continues to rise. If you are a naysayer and believe the market could tumble another 15-20%, then this may not be for you. At this point, however, prices are back to fair and this is the market correction that has made Real Estate, “real” again. Perhaps you have fifty to seventy-five thousand dollars in available equity to be able to make these kinds of improvements and affordability will not be an issue. This is great conversation for you and your trusted mortgage broker. Ask the questions and get the answers you need to make the best decision for your loved ones. All along consider how can you afford to build an addition to your home that enables your parents mobility, some freedom, and at the same time offering you peace of mind and...a little privacy! So, what if moving is not an option and you don't have available equity in your home...and to further your detrimental position, affordability is not in-line with getting a new mortgage? Then, consider what can be done with your parents home. They will most likely have it paid off, we hope! So there should be a viable option. A refinance using their equity, their income & their credit may help you stay on target. The cash from the equity in their home can help to make the plan come together. There are plenty of loan programs to accommodate the family on the short or long-term. Please don't misunderstand this option, if your parents are on the line for the loan, it is their responsibility to pay and keep up with the payments. But if it takes you six to eight months to complete an ideal addition to your home, you can sell your parents’ home when it’s complete. This will exonerate them from the debt, altogether, while keeping family close and safe. Ask yourself if you have hit the target on all of your options. Have you been able to afford the addition? Does it increase the value of your investment? Are your parents safe and well-taken care-of? Do you still have the privacy in your own home that you have worked so hard to get? If you are taking care of your parents, you deserve to have the ability to use their savings to accommodate them, as the major costs of assisted living options would essentially be avoided. If you have the ability to execute the plan while keeping your expenses to a minimum, you have been able to hit the bulls-eye and you still have lots of arrows in your quiver for future investment growth and your child’s education too! Tax Credit Extension - Be "in the know!" Great timing! Find out if it is for you, too! Neighborhood Stabilization Programs - Can first-time homebuyers really take advantage? Tax benefit extended for first-time homebuyers!!! !